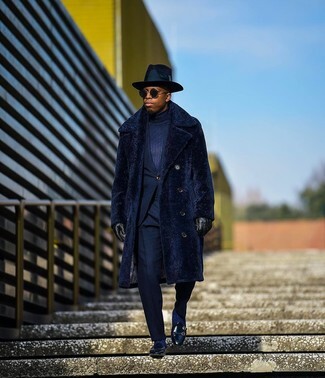 This combination of a Zanone Patterned Roll Neck Jumper from farfetch.com and a navy fur coat is a must-try casually sophisticated outfit for today's man. 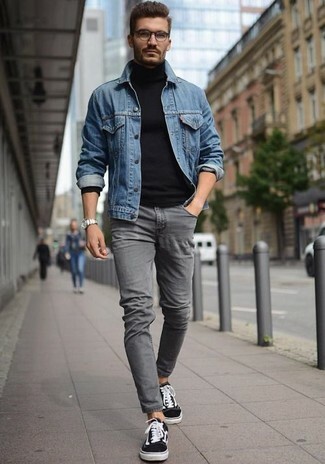 Ramp up this whole ensemble by rocking black leather loafers. 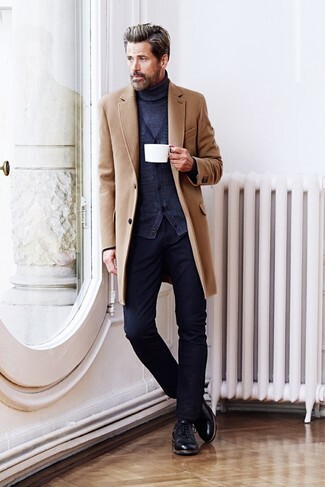 If you feel more confident in comfortable clothes, you'll like this relaxed casual combination of a navy turtleneck and white chinos. 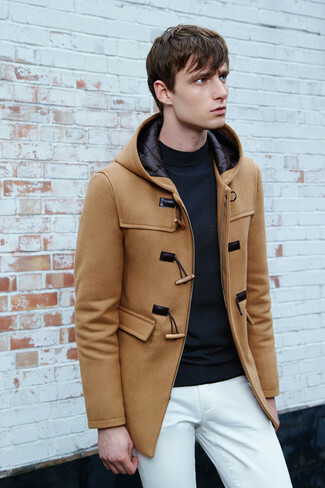 A navy turtleneck and navy chinos have become a go-to combination for many fashion-savvy guys. 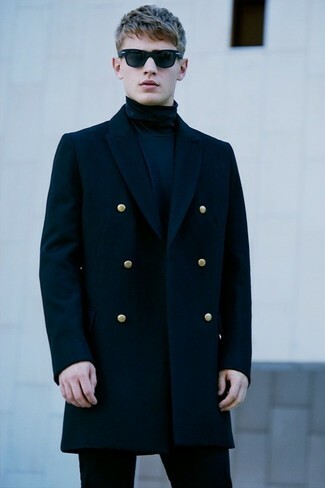 A Zanone navy turtleneck and navy jeans are veritable menswear must-haves if you're planning a casual wardrobe that holds to the highest sartorial standards. Want to break out of the mold? Then why not complement this outfit with a pair of black leather brogues? 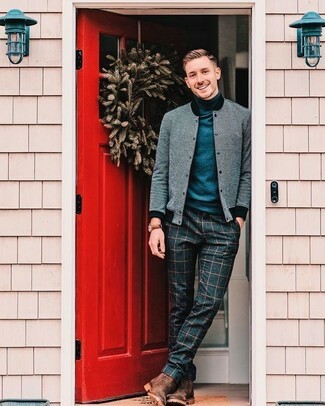 The sartorial arsenal of any discerning gent should always include such wardrobe heroes as a navy turtleneck and grey dress pants. 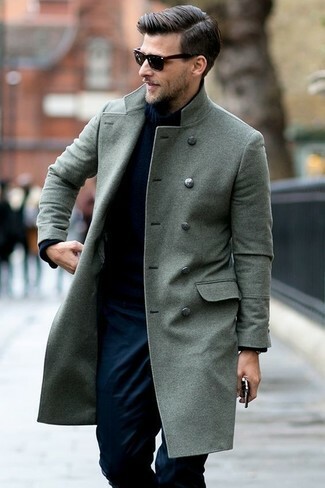 If you're clueless about how to round off, a pair of black leather chelsea boots is a wonderful option. 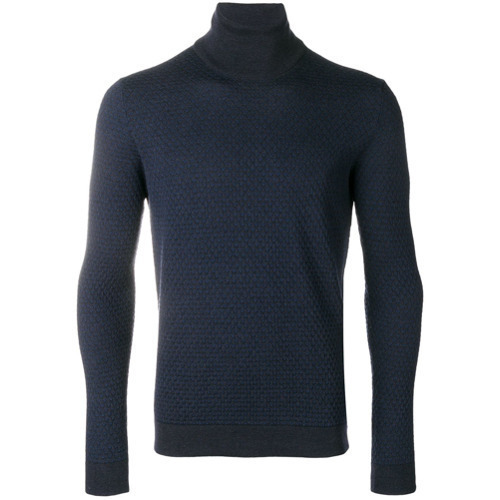 Effortlessly blurring the line between cool and relaxed, this combination of a Zanone Patterned Roll Neck Jumper from farfetch.com and black chinos is bound to become one of your go-tos. 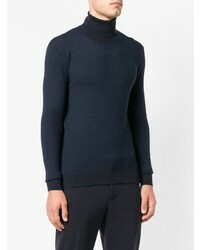 Wear a Zanone Patterned Roll Neck Jumper from farfetch.com and a navy suit for a sleek elegant look. 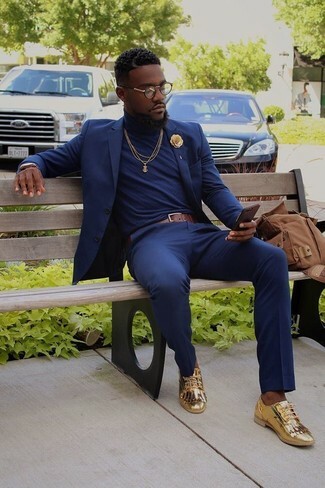 A pair of gold leather tassel loafers serves as the glue that will pull your getup together. 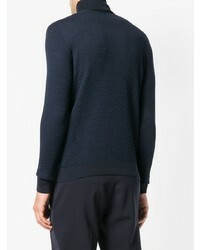 If you like the comfort look, consider pairing a Zanone Patterned Roll Neck Jumper from farfetch.com with grey skinny jeans. Black and white low top sneakers act as the glue that ties your ensemble together. 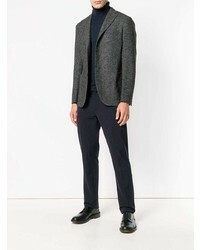 This outfit with a Zanone Patterned Roll Neck Jumper from farfetch.com and navy check wool dress pants isn't a hard one to pull off and easy to change. A pair of brown leather chelsea boots looks wonderful here.